Title Loans plus Jewelry & Electronics Buyers. Pawnbroker Pawn Shops in Phoenix Az, Scottsdale Az, Tempe Az, Mesa Az,and Gilbert Arizona are pawnbrokers, Jewelry Buyer and Title Loan specialists. 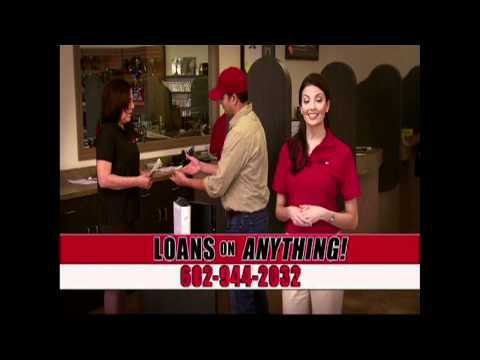 Do you recommend Pawn1st Pawn & Title Loan Centers? Buy, sell and loan on all makes, models and brands of merchandise and vehicles. We pride ourselves on the fact that most people feel they're walking into a bank rather than a pawn shop or pawn broker. We typically pay around 40% more, for gold and silver, than our competitors and have a wide variety of new, used and unique items for cheap. Our centers are clean, organized and above all welcoming. Our customers literally come from all walks of life and have two options when deciding to pawn. One is to sell your items outright for an agreed upon price. The other is to obtain a short term loan with loan extension options. Whether you need instant cash for a bill, or just having a rough month, Pawn 1st pawn shops are here to help. We will offer you a hassle free loan with unbelievable customer service and you will walk out with cash. Pawn 1st is not only a leader in the pawn industry, but a leader in the auto title loan and online title loan industry. Pawn 1st is a unique company, in that, we provide our customers with a range of lending options when it comes to short term loans. No mileage, year or type of vehicle restrictions. This means that we'll give you a loan on pretty much anything with a title including cars, trucks, commercial vehicles, motorcycles, semi's, boats, RVs, any make, any model. We want our customers to have as many lending options as possible, so you will always have the instant cash you need. Title loans are fast, easy loans. Another option we have, besides pawn and title loans are registration loans. This is a short term loan where you need a motor vehicle registration with your name on it. The vehicle does not have to be paid off. Registration loans are also known as personal or equity loans throughout the industry. Your Pawn1st Pawn & Title Loan Centers reviews help others learn about this business nature. Best reviews about Pawn1st Pawn & Title Loan Centers are passionate and personal. They offer a rich narrative, a wealth of detail, and a helpful tips for other Pawn1st Pawn & Title Loan Centers customers. Please don't review Pawn1st Pawn & Title Loan Centers if you received a freebie for writing this review about Pawn1st Pawn & Title Loan Centers, or if you're connected in any way to the owner or employees of Pawn1st Pawn & Title Loan Centers.